CYCLINGFORUM.COM -- View topic - How cool is this? 3/15/19 3:50 PM How cool is this? This is new, I would have seen it before as the route is one I do somewhat often. Did not want to crop the pic... So click on link for full size Huge image. 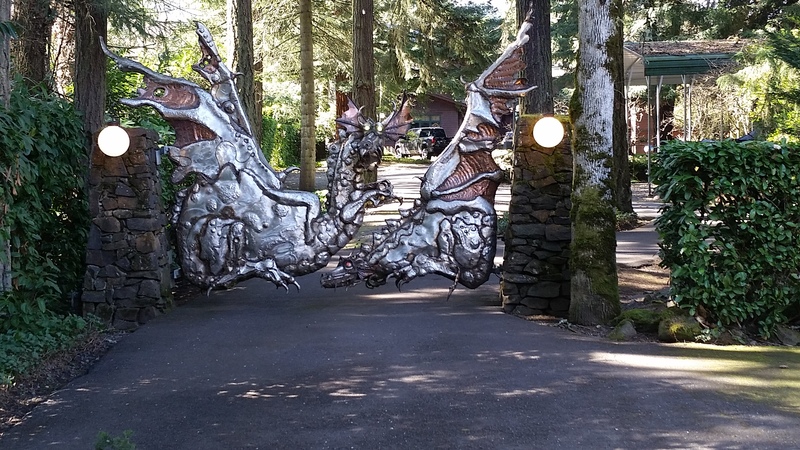 The eyes on the dragons on this dragon gate are lite, green top, red bottom. On a totally separate/unrelated note, this is also cool. But really wood bug me. Thanks Dan, even has cycling content in the second picture. My stash of up to 100 year old woods is pretty well kept, relative humidity +/- 5 points of 50%, air circulation, stickered etc. Discourage any of it from making it's own decisions about checking, warping, et al.